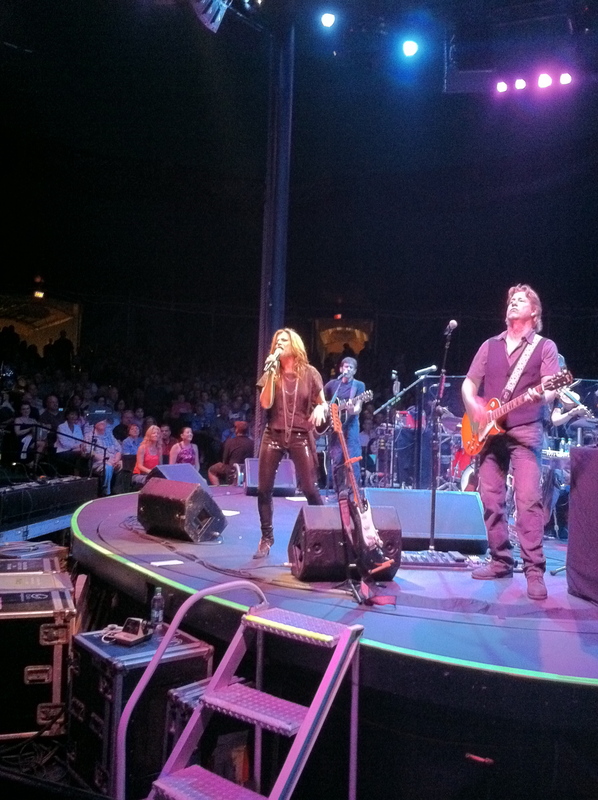 Not since Jennifer Nettles brought her lead-with-passion approach to modern country has a singer enthralled me like Sara Evans did last night at the Cape Cod Melody Tent in Hyannis, MA. She left her blood and guts on the stage as she powered through massive hit single after massive hit single. Sounding even better live than she could ever come across on record, Evans had me in a trance and didn’t let go until the show ended. Her ability to gracefully overcome her inability to arrive at the venue on time (her private plane was grounded for two hours in Birmingham, Ala, where she lives) had an impatient audience ready and willing to forgive her and just get on with the show. With her raven locks in a tight pony-tail (the result of not having enough time for hair and makeup), she playfully engaged the crowd and exuded likeability rare among entertainers of her stature. When the band launched into her opening number, a peculiar thing happened to me. I didn’t recognize the song or even the opening verse as she started singing, yet I knew every word, and obviously knew the song. For some unknown reason, I just couldn’t place it. The song was in fact “As If” the only hit single to stem from her 2007 Greatest Hits package. She followed it up with her top 5 hit “Perfect” and then launched into her signature song “Born to Fly,” which I fully expected her to leave until the encore. On “Cheatin’” Evans brought the already biting lyrics to new heights. When singing the opening, “you say you’re everyday/is a bad dream that keeps repeating,” she slowed it down even further than on the album track and dug twice as deep with her twang, revealing nuances in her vocal ability I hadn’t heard before. Her band smartly gave her room to breathe during the opening and hinder the audience’s enjoyment of her vocal. Evans than span her entire career with renditions of “I Keep Looking,” which she dedicated to all the women in the audience, and “Coalmine” which she dedicated to all the men. The country/bluegrass shuffle of “Coalmine” was a welcomed surprise although a tad puzzling. Only a minor hit when released as a single in 2006, it’s easily one of her lesser known songs to anyone who isn’t a diehard fan so I was left wondering about its inclusion in her set, although it made for a very entertaining moment and allowed Evans room to act playful with her band. Midway though she explained her reasons for retreating from recording over the last few years, her now three-year marriage to football player Jay Barker, and the blending of their families, which together, makes up seven children. She joked that once the reality set in, she booked five years of non-stop touring. This led to the only talk of her new album Stronger and an explanation of her new single, a cover of Rod Stewart’s “My Heart Can’t Tell You No,” a song she always loved, and wanted to turn into a country hit. Singing the fire out of it, it was difficult to see where the negative single reviews stemmed from. I happen to love this cover of the song, and really dig the vibe she was going for. Hearing the song live was the difference; the album track pails greatly in comparison. Evans followed-up “My Heart Can’t Tell You No” with her most-recent #1 “A Little Bit Stronger,” a song she found at the end of the recording sessions for Stronger and new she just had to record. It easily got the biggest rise out of the audience and it was clear to me, judging from crowd reaction, why the song became such an anthem. Following the only talk of her most recent album, Evans told a story about growing up on a working farm in Missouri. She talked about the culture of where she came from, where you’d date boys in pick-up trucks and if the parents disapproved, it only made you love them more. I knew instantly where she was going with this, and I was right. It all led to “Suds In The Bucket,” her 2004 #1 smash. Songs like “Bucket” and “Coalmine” were moments where Evans and her band could interact playfully. With “Bucket,” each member of her band raised a foot in the air, to signal the whole barefoot aspect of the song. Being at a venue that intimate and sitting so close to the stage, you’re able to enjoy little moments that get lost when an artist is playing for huge crowds. Just when I thought there wasn’t anything else left to sing, they launched into another #1, “Real Fine Place To Start.” At the beginning of that song, it hit me just how many hit singles she’s had. She’d been on hiatus so long, I’d forgotten about all the great music she’s released over the years. After “Start” Evans proved a slight benefit to having private plane issues. Instead of leaving the stage and coming back for an encore, she had the audience ask her for one without loosing anymore time. The funny thing is, it was during the “encore” where the night got most interesting. Evans talked about how she’s always loved Tammy Wynette and when thinking about what classic song to put into her show only one came to mind. I fully expected her to sing “I Don’t Wanna Play House,” a track she contributed to the tribute album to Wynette in 1998. Instead she launched into a perfect cover of “Stand By Your Man.” I loved the classic country vibe and as usual, she sang the fire out of it. Only problem is, I couldn’t get Hillary Clinton’s comment from 60 Minutes out of my head. But of course, that didn’t dampen my enjoyment of the song. Her second “encore” song was a bluegrass-y cover of Cheap Trick’s “I Want You To Want Me.” I love how she made such an recognizable song country. In thinking back, it reminds of something Evans said when Bill Anderson interviewed her on the TNN show Opry Backstage in 1998 – no matter what, everything she sings is going to come out country. In the case, that proved very true. As a diehard country fan, and a lover of Evans’s music, I had a hard time believing “I Want You To Want Me” was the end of the show. She left the stage, and I fully expected her to come back for one final encore. I didn’t believe the show was over until the lights came on and everyone filed out of the venue. I wanted her to come back because of one thing – Evans didn’t sing her breakthrough hit “No Place That Far!” I couldn’t understand why of all the songs in her catalog she would exclude her first #1, yet she sang a Cheap Trick cover and “Coalmine,” which bombed when it was released to radio. But that oversight didn’t dampen my experience in the least. I came away from the show in love with Evans all over again. I still can’t believe she hasn’t won a CMA Female Vocalist of the Year award yet. The ACM were smart enough to recognize her in 2004, but it’s about time the CMA follow suit. And she’s so much better live than she’ll ever be able to come off on record. If you haven’t seen her, and get a chance to, go. You will not be disappointed. Her humor, which became overkill at times, was the biggest surprise for me. I’ve said it before in this review, but she really is playful and flirty on stage. I loved how loose she was. The great benefit of a concert at The Melody Tent was how the stage, like sister venue The South Shore Music Circus, spins. Evans made a joke that she had to stay inside the stage in order to keep spinning. Since if you don’t, you end up playing to one section of the audience too much. Which wasn’t an issue for opening act Jake Hill, a local musician who’s recently gotten exposure from Almost Famous, a new local music show on 95.9 WATD, the radio station I intern at. 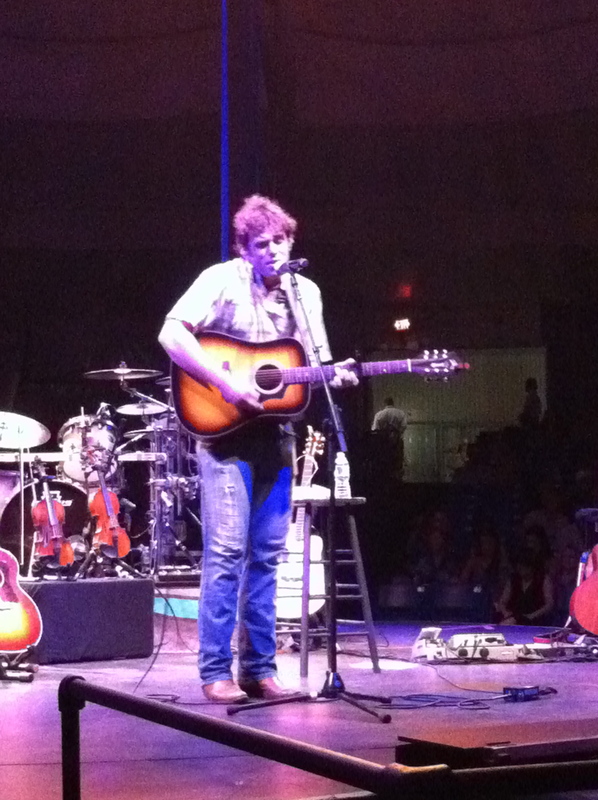 He was able to play the stage and the crowd. 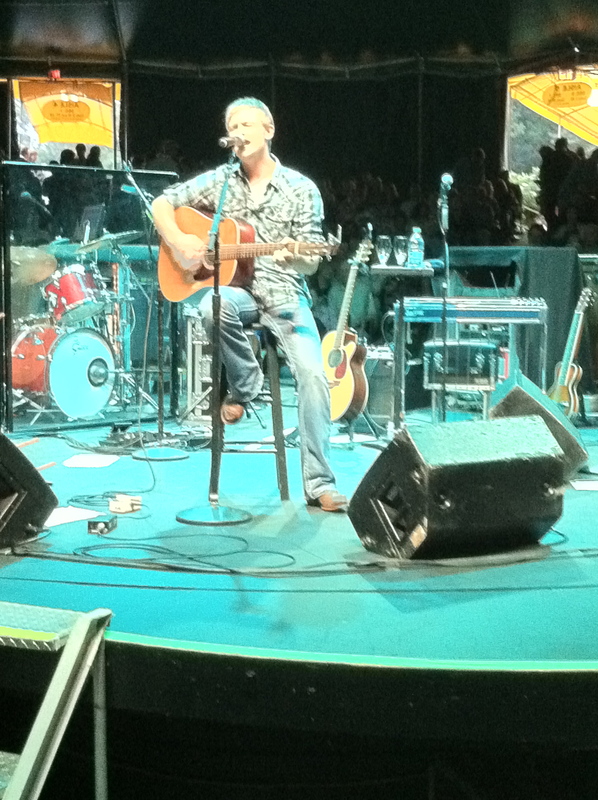 This was my second time to see him perform in this setting, he opened for Huey Lewis and The News last summer. While he performed a solid set, I wasn’t blown over by his music because it isn’t my style. He isn’t a country singer, but that doesn’t matter. He just isn’t the type of singer I like for long periods of time. But that’s me and no reflection on his set, which was very good. In a lot of ways he reminded me of both a singer-songwriter from Texas and Delbert McClinton. That’s the best way I can describe him. Hill’s best song came at the end ofhis set when he covered Kris Kristofferson’s “Me and Bobbi McGee.” He did such a great job and even had Kistofferson’s almost-drunken wayward singing abilities down. It was the highlight of his set and a great kickoff to a memorable evening. Started by country blogger Leeann Ward from Country Universe, Favorite Songs by Favorite Artists (FSBFA) is a rundown of a writer’s 25 favorite songs by an artist. I felt compelled to compile a list of my own after going to see Martina in concert earlier this month. 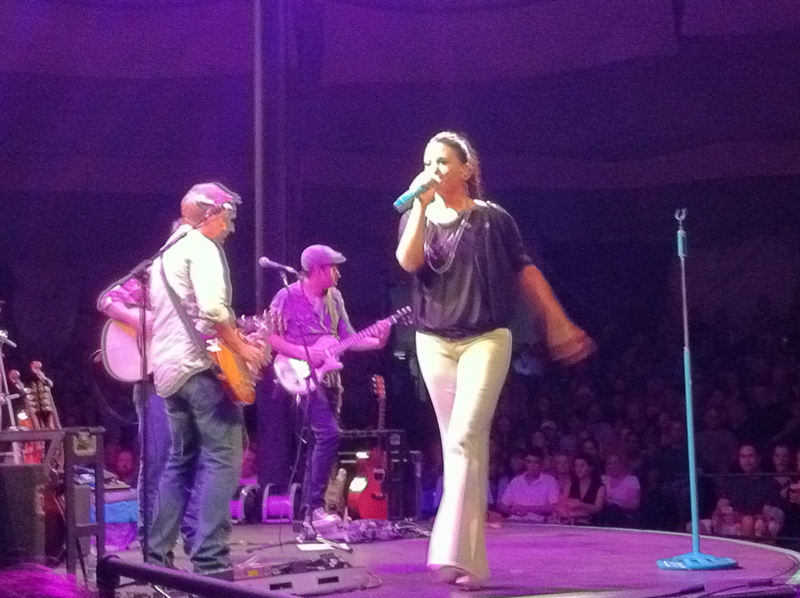 Martina McBride is a singer easy to take for granted. She’s been a consistent hit maker for the last 18 years wrapping her booming voice around everything she touches. Her career began selling t-shirts for Garth Brooks before she got sly and sent a purple envelope to the offices of RCA records containing her demo tape. Since they only heard submissions they approved, she wrote “requested material” across the bottom. Needless to say it all worked and she was quickly singed to the label, her home until late last year. 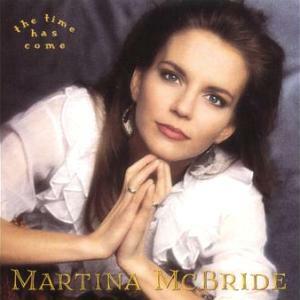 Her first album The Time Has Come didn’t spawn any major hits and was largely ignored by country radio. The follow-up, The Way That I Am put her on the national map. Lead single “My Baby Loves Me” quickly shot to #2 and “Life #9” followed suit. But it was the release of “Independence Day,” a tune about domestic violence told from the point of view of an eight-year-old, that really grabbed attention. The controversial subject matter kept the song from reaching the top ten, but it still became her career record. Her next album Wild Angles would contain her first #1 hit in the title track and she hasn’t looked back since. 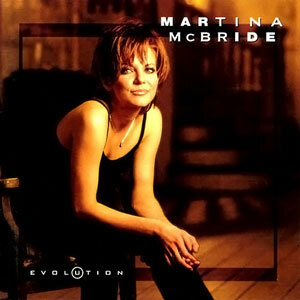 A 4 time CMA Female Vocalist of the Year winner, McBride is one of the most beloved vocalists of her generation. And McBride has used that voice to tell many a tale mostly about various stages of relationships. In looking back over her career, I was pleasantly surprised to discover most of her best tunes cast her in various relationship roles whether it be a woman whose dreams are shattered by her man or a woman begging for what she wants to hear from a man who’s checked out of the relationship. She’s played the strong woman, a woman blinded by love, and even turned introspective in wondering if she’s the reason the love isn’t working out. While most of her songs tell a similar story, all add another layer to the various roles women play in their love lives. An above-avarage album track from Waking Up Laughing, “Does” is an instant mood enhancer with an feel good melody and production choices. What I love is that McBride isn’t striving for anything here but rather letting lose and having a good time. Some of her best songs are when she relaxes and moves with the groove, and “Does” is a perfectly executed example. Sure it’s one of her pop-leaning songs, but it’s actually more country than most of what passes for country music these days. If you listen carefully, you’ll hear the steel guitar shining through. What won me over with “Fall” was the chorus – like all great choruses, it’s fully-developed and instantly memorable due to its sing-songy nature. I love the guitar solo-bridge as well, it calls attention to the less is more approach to the production of this song. An example of where a killer hook is worth the weight of a song – “If I Had Your Name/I’d Be Changing It By Now.” It’s a fresh spin on a tale of seeing the writing on the wall before you jump in too far. This “prevention” approach is a change of pace from McBride who usually has to be hit upside the head before seeing the error of her ways. 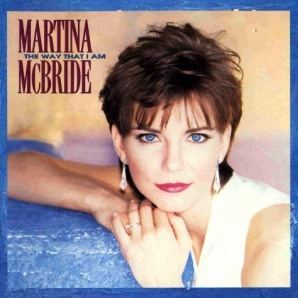 The title track to her largely ignored debut album, “Come” opens with a nice mid-90s groove and steel guitar riff. This was one of the first instances of McBride’s infatuation with relationship songs and while the production is sunny and bright, the lyrics tell the story of a woman declaring that the time has come to end her current relationship. And unlike forthcoming hits like “Whatever You Say,” she’s able to see the writing on the wall – they’ve had their moment in the sun but that moment has now passed and it’s time to move on. And like the end of the relationship, the song passes like a feather in the wind, long enough to convey the message yet short enough to convey the fact she’s moving on without looking back. It took me a bit before I warmed up to this song. But the groove and less is more approach to the vocal and production is a huge selling point. She might have gone through a period of inconsistency with her overall albums, but there were real gems if you dug deep enough. “Wrong Baby Wrong” is one of those songs. The more I listen to it, the more I dig everything it has to offer. Too bad it stalled out at #11 last year. Another instance of McBride playing a strong woman, “Time” finds her on the road, 100 miles out of her hometown, on the phone with the man she’s leaving in the dust. He asks where his dinner is, she’s replays she’s too far gone care because there’s a time to stand, fly, let go forever, grow, and discover that every second of life is precious. And for this woman, that time is now. A blink and you missed it single from 1999, “Time” isn’t as polished as some of her other hits but the hurried nature of the track perfectly compliments her rush to be out with the old and in with the new. She isn’t getting any younger and she knows she better start living before any more of her life passes her by. Here’s a little twist – a relationship song from McBride that doesn’t cast the light on the couple but rather the kids. “Teenage Daughters” is the next evolution in her story – now in her 40s she’s singing about the challenges of raising teenage girls. Instead of running from or playing down her age she embraces it and succeeds in creating an anthem for anyone who is going through or has been through raising 13-18 year olds. But most important of all she’s realized a simple truth – she’s been there before, herself. “At seventeen she’s just like me when I was seventeen so I don’t blame her” sings McBride will all the wisdom that comes with a full circle moment. The children might not be able to see it at the time, but their mom fully understands what they’re going through even if it might not seem that way at the time. A coming together of two talents at their commercial peak didn’t exactly burn up country radio, it peaked at #11, but always made an impression on me. I love how well both singers work together and the easiness in which they convey the story of still holding on to a love that’s slowly dying. McBride sings rings around Black on this one, but how could she not? When she lets loose on the bridge, there isn’t many who could match her. A closing concert staple and live bonus track from Martina, “Rainbow” is a moment easy to mess up – you’ve heard this song so many times before that to hear it again is almost overkill. But to hear McBride sing it, is to hear the song in a new light, like you’ve never heard it before. The way she comes in A Cappella and builds to the final boom is outstanding. I’ll never grow tired of hearing this one. A tale of ignoring the signs right in front of you left “A little girl caught in the hands of fate.” She was dead by morning, all at the hands of her parents. How could it not have fully registered – this little girl walked to school with a lunch she packed herself in the same dress she wore the day before with linen and lace to hide her bruises. Unless you’re without a soul, you can’t help but feel for the little girl, a nameless victim who, through no fault of her own, was raised by people unfit to parent and protect her. Of all her moments of social commentary this was easily her best and the strongest song on country radio at time of its release. It’s an unassuming masterpiece and the best modern example of the three part story arc done correctly. Plus, it’s one of my favorite videos she’s ever made. She has dreams, he just shoots them down. She wants to fly, and he tells her she’ll never leave the ground. But she loves him like he’s the last man on earth because she needs his protection. Imagine his shock when she doesn’t leave for church that Sunday morning. He finds a note and a blowing curtain, and she reveals her true strength. The best of McBride’s ballads are tinged in sadness and touch upon a truth buried deep in America. She may be nameless in song but she’s out there in our suburbs and in our cities being told she isn’t good enough. But when she finally grasps the reality that real love doesn’t hurt, there’s no stopping her from soaring into the heavens. The lead-off single to McBride’s Greatest Hits disc was a great departure upon its release in 2001. Coming off of the sappy “There You Are,” she needed something to either elevate her career to the next level or make an artistic statement. In the end she chose the latter, releasing a rocking warning to “lock up your husbands/lock up your sons/lock up the whiskey cabinets/girls lock up your guns” because a god-fearing woman has the blues. Drenched in dorbro and steel guitar it’s hard to believe just ten years ago a song this country could get airplay on country radio let alone climb to #8. Even more amazingly, Dan Tyminski sings harmony on this track – which had McBride proclaiming in the liner notes of the album how excited she was to have a Soggy Bottom Boy on her record. 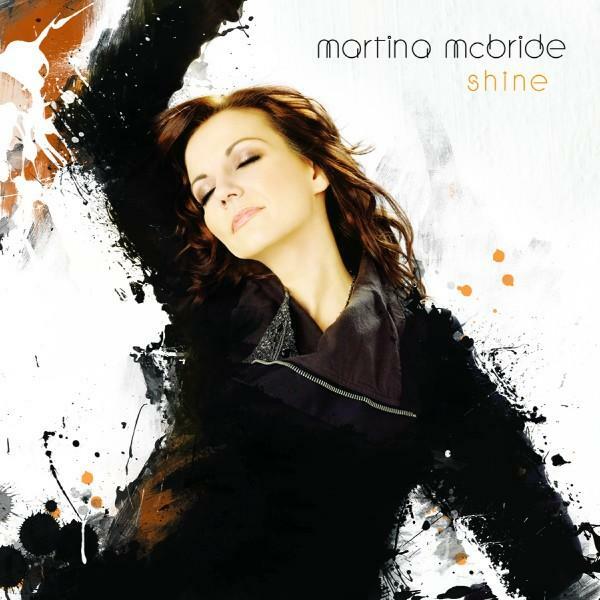 My favorite single from Shine, “Mine” might not be among McBride’s best loved hit singles even though it’s the best thing she’s released to country radio in years. I love everything – her vocal and the steel guitar laced production – about this song. It’s rare to hear a love song from her, but she can be convincingly romantic just like the best of them. An exercise in restraint, this cover of the Kris Kristofferson classic is a modern gem. 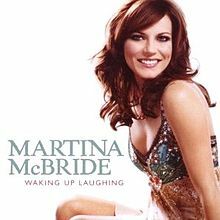 McBride uses a quiet whisper to bring the story of desperation to life that ranks among her best vocals ever on record. Arguably the most important single of her career, it turned the tide in her relationship with country radio and proved her staying power as a country singer in the 90s. What’s remarkable is, “Love Me” still sounds fresh eighteen years later and sounds like it could’ve been on McBride’s last album. It’s a testament to her ability to choose great songs and Paul Worley’s timeless production values. And who wouldn’t their baby to love them just they way they were? A perfectly timed summer smash, “I Love You” took McBride to the next level – it was the first song to sway the Country Music Association to award her Female Vocalist of the Year, an honor she would have four times throughout her career. With Trisha Yearwood out of the way, and Faith Hill still receiving a cold shoulder, there was no other clear winner that year. With all the attention usually placed on her power ballads, it’s easy to forget that McBride can be sunny, cute, and approachable just like all her pop-country contemporaries. And when she does go up-tempo the results, as proven here, can be very good indeed. My favorite moment of optimism on record, “Blessed” is self-congradulatory without being self-indulgent. McBride sings about finding her way, thanking God for what she’s been given and being blessed with more than she deserves. After a career filled with relationship songs, it’s a nice change of pace to hear McBride take a moment to reflect on her own journey and put her sense of contentment into words. She might not have written this, her last #1 hit to date, but she could’ve very easily. That’s the mark of a well-chosen song. The first single of her career McBride had a hand in writing, “Anyway” is about doing it no matter what, even if it seems like it won’t matter in the end. A cooky concept that’s been done before, McBride seems to keep it fresh in her phrasing and delivery. Sure it’s another ballad to showcase the big voice, but it manages to pack a great deal of substance into the lyrics and a whole lot of passion into the vocal performance. The career record that stalled at #12 became the video that turned any skeptic into a McBride believer. A rare moment of clever wordplay, “Independence” isn’t about the holiday it’s set during, but the release of an innocent eight-year-old girl, taken to the county home when her father blows up the family house taking him and her mother with him. McBride would veer into social commentary mode a lot in her career, and even score some big hits in this vein, but little can top the words out of Gretchen Peters’ pen. This is her most played recurrent hit and one I could go without hearing for a while, but it shows where McBride can go when everything falls into place. Another relationship gone sour song, “Say” is a woman unable to get through to her husband. They both know how to talk, and she knows he can hear her, but nothing seems to be getting through. She’s fed up and wants to leave, but is waiting for what’ll never come – his plea for her to stay. Unfortunately, her weakness is prevailing here. How long can you harp at someone just to get what you want before your spirit is compromised? If you’re relationship his diminished to the point where you’re begging your man to say he needs and will never leave you, than you’re about as blind as they come. The writing is on the wall and you just have to walk out the door. But when love is at stake, the right thing isn’t always the easiest thing to do. Until this write-up, I never really listened to the words of this song. I’ve spent the last twelve years caught up in her vocal – the way it builds from the verses to the choruses. But underneath the sheen is a lot of substance that makes you think about the choices you’ve made in your life for love. By the time “Where Would You Be” surfaced in 2001, it came off as another in a long line of love done wrong songs in McBride’s catalog. While the story line follows the familiar path (fighting for a man who isn’t pulling his own weight in the relationship), it strike a different tone with the booming chorus. She wraps her voice around those notes so well, you can’t believe a human being can pull that off. But like all of her relationship songs, “You Be” adds another layer to the fold. She hasn’t yet taken off and realized it’s her time nor is she begging for her man to say what she wants to hear. Instead she’s wondering if maybe she’s been the problem all along – “Have I become the enemy?” she asks aloud in the bridge. “Is it hard to be yourself in my company?” she wonders always wanting to know the simple truth – where would he be if not with her. 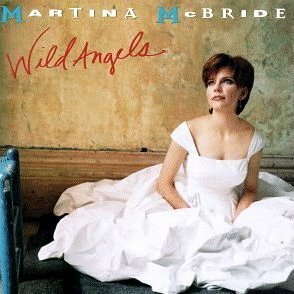 It’s easy to see why “Wild Angles” a love song trying to explain how two people can stay together even though they still break each other’s hearts and spend nights on the jagged side, was McBride’s first chart-topping single. A mid-90s classic, “Angles” gets it all right – an opening guitar riff and infectious melody to draw the listener in, a perfectly orchestrated vocal that hits all the right notes, and an overall package that’s nothing but delightful. It’s no wonder it’s a fan favorite to this day. A largely forgotten low charting single, “Swinging Doors” is one of my favorite of McBride’s songs both lyrically and melodically, and has been since it’s release to radio in 1996. This strong woman is done playing games with her ex and forcefully proclaims, “I won’t be leaving my heart open anymore” for a man who comes and goes whenever he pleases. It may be wrapped in an infectious package, but there’s much to uncover underneath the sunny sheen. The best song of her career never released to country radio, is one I never would have discovered had it not been resurrected on her Greatest Hitsalbum ten years ago, despite the fact I’ve owned the original album since 1995. The story of the couple coming full circle from strangers on the street to strangers getting a divorce is the essence of a great country song. It’s easy to forget a time when lyrics made you think and singers put just the right emotion into their vocal performance to sell a story (and it also helps that Bobby Braddock, a 2011 Country Music Hall of Fame Inductee wrote this song). She would go on to score big hits in this vein, but her first power ballad is easily the best she has ever reordered.